Popular in Germany during the mid to late 15th century, this two handed sword illuminates the artistic creativity of the time, resulting from the Gothic artistic revolution in the arts. The sword is a reproduction of the Effigy of Ulrich von Hohenrechburg (c. 1458). This is a tough, hollow ground 5160 Spring steel blade. Not only tough, it is also extremely attractive as well, with smooth lines and a deep fuller. 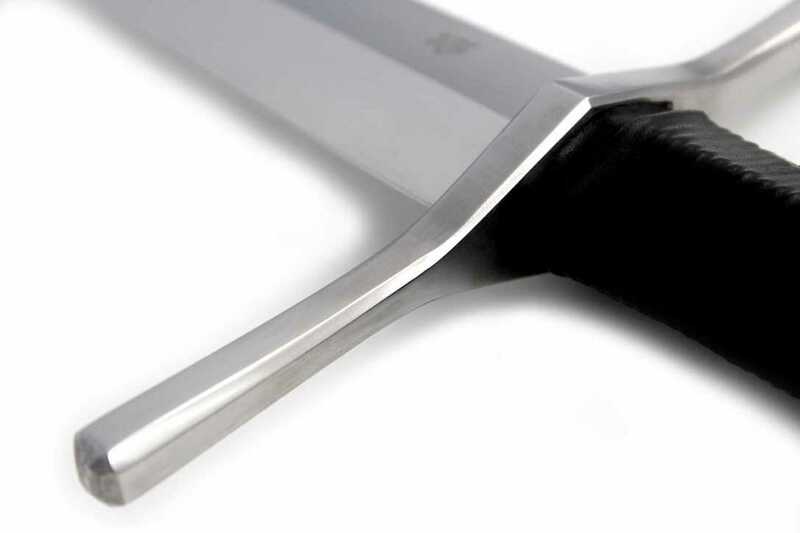 The distinctive profile makes it stand out compared to other swords of this size. 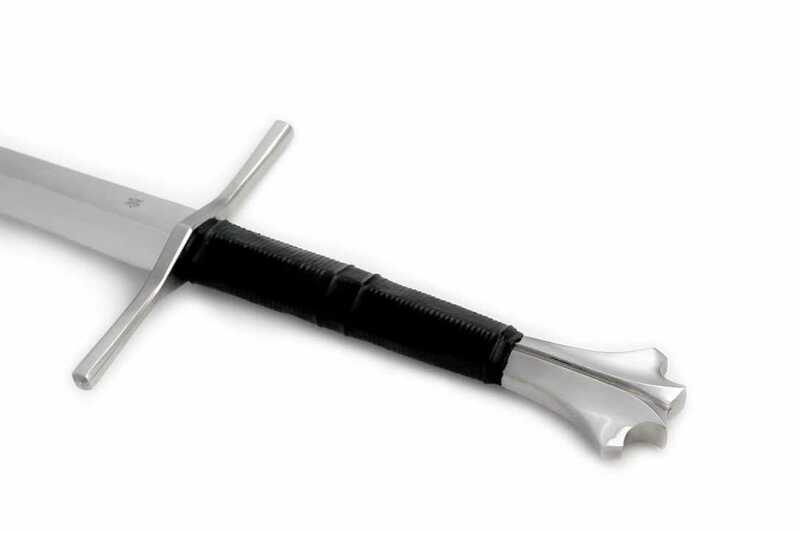 The hilt itself is an authentic, historical reproduction, with a mild steel crossguard and genuine leather wrap handle. 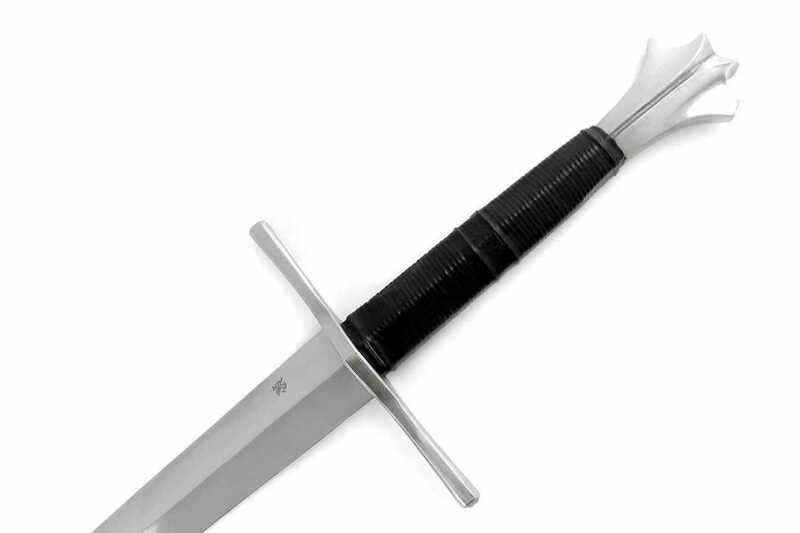 The distinctive “fishtail” pommel is a popular feature, and commonly seen on swords of this type as seen in Ewart Oakeshotts’ work, Records of the medieval sword. 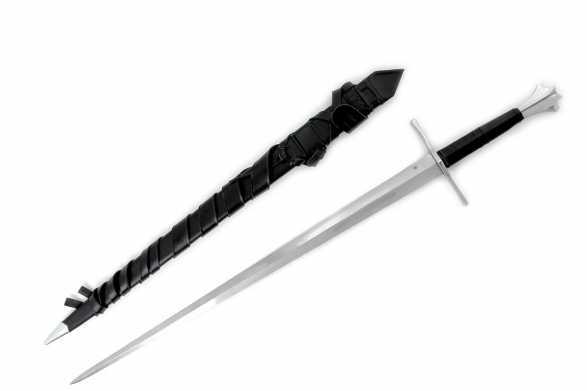 Though mainly intended for thrusting, this type of sword is capable of giving devastating cuts as well, which this model is more than able to do as well. 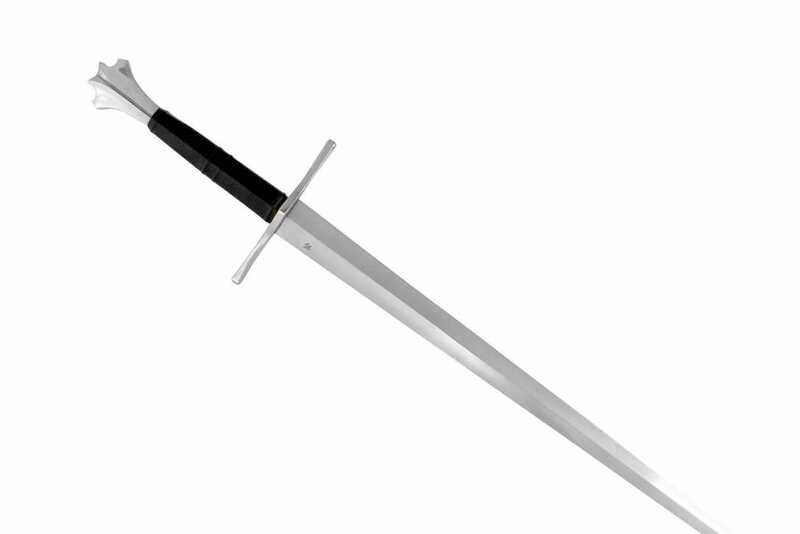 This sword is 3lbs 5oz with a high point of balance – if you are looking for a gothic or german sword with some serious meat on its bones, then this sword is for you.